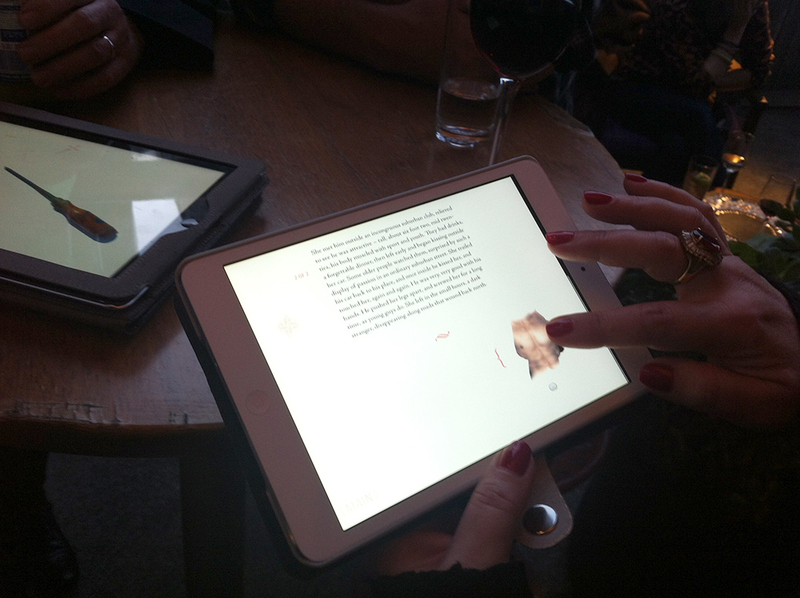 The Secret Language of Desire has recently been exhibited at ELO 2015, a curated international exhibition of electronic literature, in Bergen Norway, from August 4-7 2015. Megan Heyward attended and introduced The Secret Language of Desire at the exhibition opening on August 5. Pictures below. Megan’s travel to Norway was kindly supported by the Copyright Agency Australia and the University of Technology, Sydney. 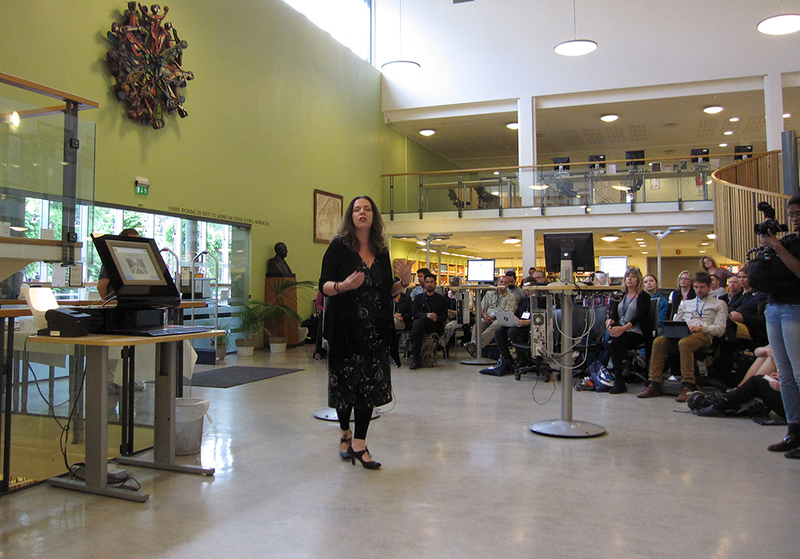 Megan Heyward introduces The Secret Language of Desire to international audience in Bergen, Norway, Aug 5, 2015. 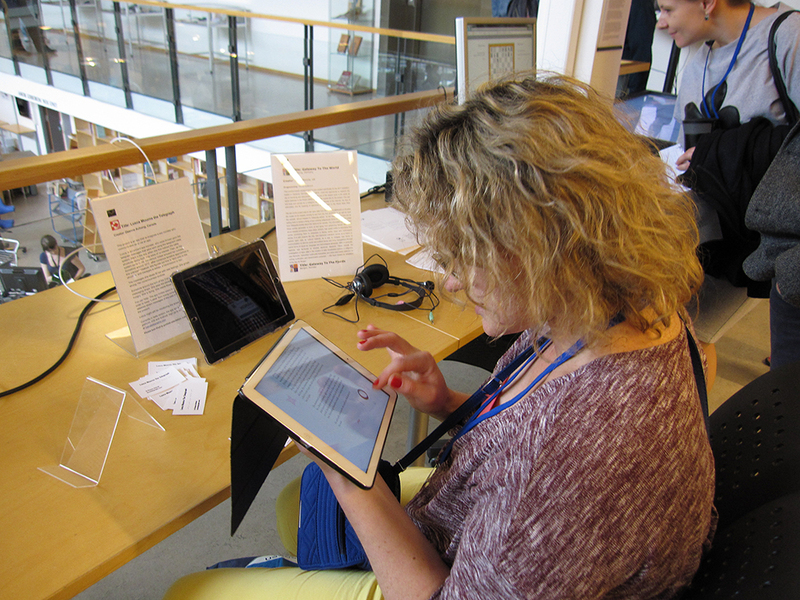 Reading and triggering objects from Secret Language in Bergen, Norway at ELO 2015. 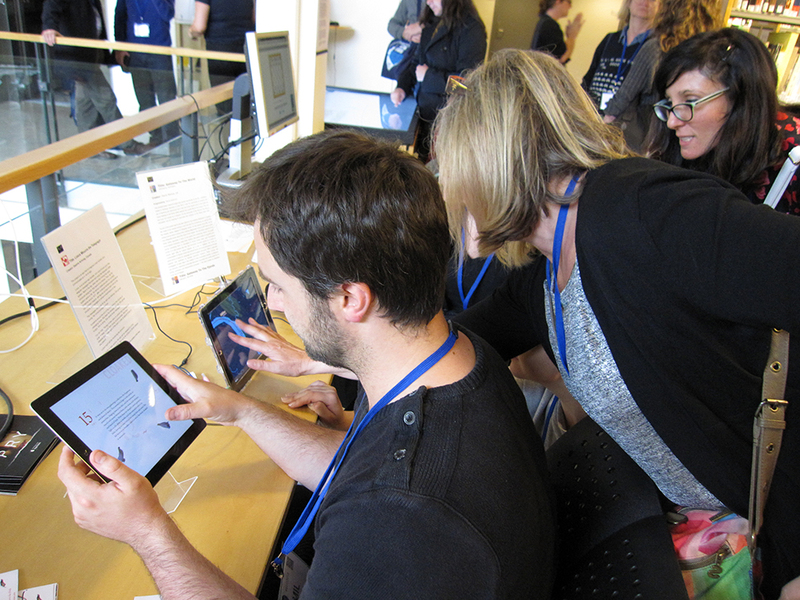 Attendees crowd around the iPad projects at ELO 2015. 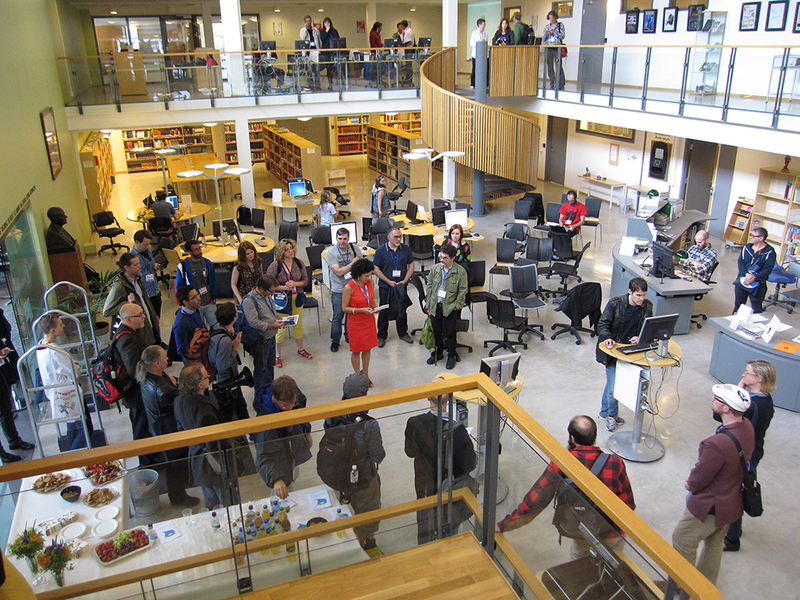 Big crowds at Bergen University Library for the exhibition opening at ELO 2015. The Secret Language of Desire is a unique electronic literature app that traces a woman’s journey from everyday life into a landscape of sensuality and desire. Merging 27 ultra-short chapters with interactive animations and sound, The Secret Language of Desire offers an intimate, alluring and surprising storytelling experience for adults. Every chapter contains elements to enrich the narrative – objects can be touched, triggering animations and sound, or images can be rubbed off, revealing hidden contents. Written and developed by Australian digital media artist Megan Heyward, it features original sound design by Michael Finucan, and the lilting saxophone of Martin Kay. The project is optimised and available for iPads. The Secret Language of Desire has been supported by the Australian Government through the Literature Board of the Australia Council for the Arts, its arts funding and advisory body. It includes mature content and themes. Available now for iPads from the AppStore. 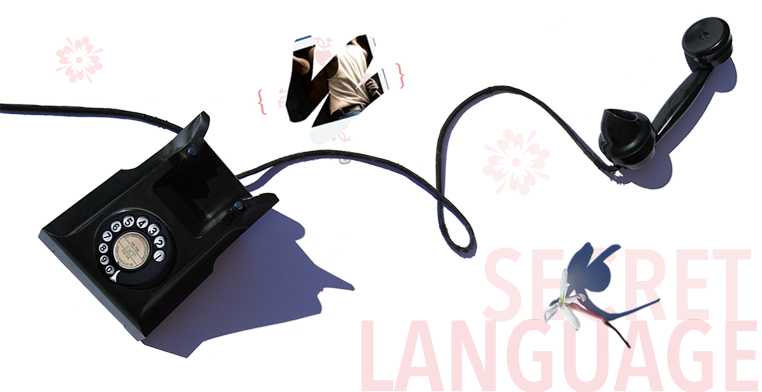 Haptic “scratch-off” effects and interactive animations are included throughout The Secret Language of Desire. Every chapter within The Secret Language of Desire contains unique interactive elements which support the narrative and themes of the work. 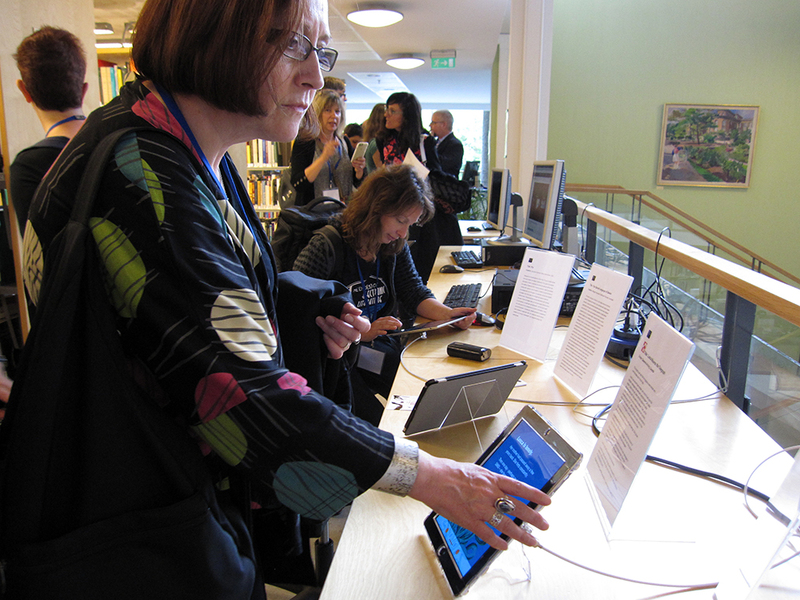 On screen objects – flowers, telephones, keys, photos and other items – can be touched, triggering animations and sound. Several chapters contain graphics that can be rubbed off to reveal the “hidden” content waiting underneath. Sound design enriches the animations with distinct audio elements, interlaced with original music and phrasing by saxophonist Martin Kay. Here is an off screen recording from iPad, showing some of the interactive, animation and sound elements of the app. All content © Megan Heyward 2015. All rights reserved.